The consumption paradigm that used to rule the market in the previous decades is now living through a shift. It is rather slow yet steady. Dairy products, milk in particular, have long been considered a staple, but now it is being toppled from its throne by plant-based alternatives. According to a recent study, nearly half of Americans regularly purchase both kinds of milk. A new study carried out by a team of researchers from Cargill, a product provider operating in several fields, has recently revealed that more Americans are buying plant-based milk than before, but dairy remains an important part of most people’s nutrition. Their findings suggest that around 90% of households in the U.S. keep on buying dairy from time to time, with 67% consuming it on a regular basis. Nearly 50% of U.S. citizens buy both classic and plant milk, which is indicative of a greater degree of flexibility in dietary choices. The number of those who buy exclusively dairy milk is not that impressive, as it makes up only 4%, and most of these people do it because of health problems. Some of them suffer from lactose intolerance (this group amounts to 35% of respondents) or dairy allergy (28%). Others ditched dairy because they wanted to find a better alternative devoid of antibiotics and saturated fats. It is also interesting to note that fewer people stick to their guns and hail dairy as a type of food which cannot be substituted with something else. Only 52% still believe a healthy diet cannot exclude dairy, so almost half of Americans now deem conventional milk an ordinary option, not a must. Among those who still buy cow milk, it is their wish to aid digestion (38%) and support bone health (60%) that drives them. Milk proper is not the only food that is being edged out. Its derivatives, including yoghurts, ice cream, etc., are also facing serious competition. More brands are turning to plants to enrich their common products with fibers and plant-derived nutrients to make them healthier and reduce the amount of sugar and saturated fats they contain. Taste is one of the most important factors that affect a person’s decision to buy a particular food. 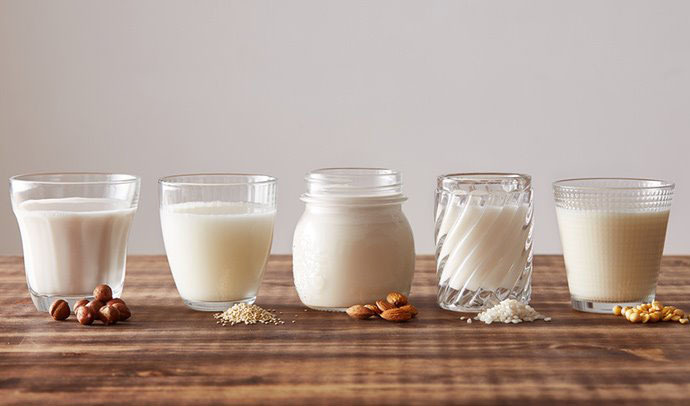 Around 45% of Americans expect non-dairy foods to be just as tasty as dairy products, so they are actually looking for healthier substitutes with virtually the same taste and texture. 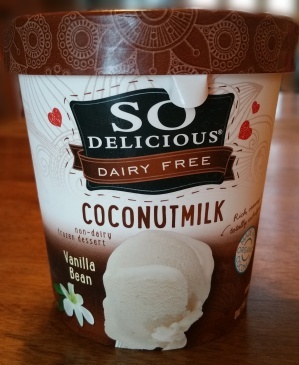 With ice cream being the most popular dairy alternative, it is clear that people want the foods they have loved for a long time to be revamped – they want it to look and taste like something they are used to but devoid of its disadvantages, and as of this moment, it is most evident in the ice cream sector. While the dairy industry definitely has a reason to have a cow over the competition it is facing, in this day and age people are not ready to ditch milk completely. Still, to keep on flying high, it should reevaluate some of its approaches to milk processing and consider new ways to meeting the ever-changing requirements of consumers. It’s not just white moustaches they want – they want food to be healthy without losing its former properties, and to actually do it, dairy companies will have to rack their brains. As more scientific evidence regarding the possible dangers of drinking milk is being accumulated, it is becoming clear that consumers are likely to eat less animal food. The jury is still out on the issue of whether milk is really that dangerous, but there is definitely something written on the wall.